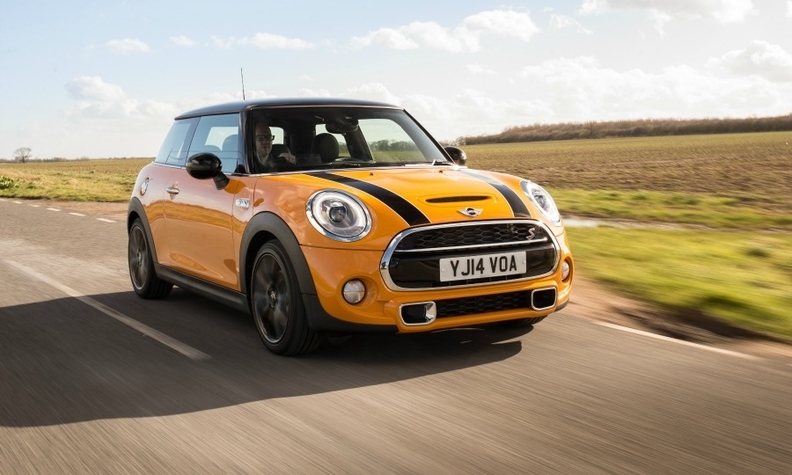 BMW Group's new Mini has helped boost UK vehicle production this year. LONDON (Reuters) -- UK car production grew by 4 percent to 791,314 in the first six months thanks to new models, the Society of Motor Manufacturers and Traders (SMMT) said today. The auto industry group said it expected growth to continue, but warned that this must be matched by a bolstering of the domestic parts supply chain. Car production in June rose 4 percent on the year to 136,419. Mike Hawes, CEO of the SMMT, welcomed the figures, but cautioned that the UK needed to match growing production with locally-sourced parts. "With this growth comes a need to bolster the domestic supply chain and address major skills shortages, both of which the UK industry is committed to addressing," he said. Only about a third of the parts that go into locally made cars are manufactured in the UK. The government and industry have identified around 3 billion pounds ($5 billion) worth of parts that could be produced domestically. Some 1.5 million cars were built in the UK in 2013, returning to levels seen before the 2008-2009 financial crisis after which production nose-dived. Among the new models to roll off UK production lines in the past 12 months are a new Mini, Honda's Civic Tourer, Nissan's revamped Qashqai SUV and a new Range Rover Sport. "With the Jaguar XE and the new Vauxhall Astra due to be launched early next year, we are on the threshold of a golden era of British car manufacturing," said John Leech, KPMG's UK head of automotive. "We have firmed up our forecast for UK vehicle production and are now confident of seeing the 2 million vehicle barrier broken in 2017. This is exerting a powerful pull for supply chain companies as they re-evaluate the UK as a manufacturing location within their European production footprints," Leech said.